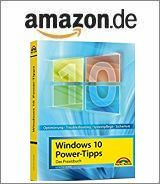 [German]Microsoft released non-security updates for Microsoft Office 2010, Office 2013 and Office 2016 on November 2018 6, 2018. Here is a brief overview what has been released. Update for Microsoft Office 2010 (KB4461522): Japanese calendar improvements in Office 2010 to display Japanese names correctly in a new era. Requires KB2863821. Update for Microsoft Office 2010 (KB2863821): Japanese calendar improvements in Office 2010 to display Japanese names correctly in a new era. Requires KB4461522. Update for Microsoft Office 2013 (KB4461482): Japanese calendar improvements in Office 2010 to display Japanese names correctly in a new era. Requires KB3178640. Update for Microsoft Office 2013 (KB3178640): Japanese calendar improvements in Office 2010 to display Japanese names correctly in a new era. Requires KB4461482. Update for Microsoft Office 2016 Language Interface Pack (KB4461475): This update fixes issues with the tabbing order of a new e-mail message and a new appointment for users who run Outlook 2016 without an e-mail account that is configured in multiple languages. Update for Microsoft Office 2016 (KB4461505): Fixes several issues (VBA, PDF) in Office. Update for Microsoft Office 2016 (KB4461438): Japanese calendar improvements in Office 2010 to display Japanese names correctly in a new era. Requires KB4461474. Update for Microsoft Office 2016 (KB4461474): Japanese calendar improvements in Office 2010 to display Japanese names correctly in a new era. Requires KB4461438. Update for Microsoft PowerPoint 2016 (KB4461502): Fixes an issue with saving and a bug with encrypted PowerPoint files that cannot be saved. Update for Microsoft Visio 2016 (KB4461472): If a SharePoint list is imported multiple times in a single Visio document, an attempt to update the SharePoint list may fail in Visio 2016.